Our conference is now over, and we would like to thank you for your wonderful contribution! It was great to host you at the Université Sorbonne Nouvelle Paris 3, the Sorbonne, and the Centre Pompidou, and we look forward to seeing you all in Amsterdam next year! Two days left from te beginning of the 2017 NECS Conference, and we really look forward to welcoming you all in Paris! But first of all, please find a PDF document with the latest updated version of the conference program (dated: 27/06/2017) here. It includes all the latest changes (due to cancellations, etc.) that could not be included in the printed version; in the printed version, however, you will find a separate printed paper with a list of the latest changes. We look forward to welcoming you soon in Paris ! We are only five days away from te beginning of the 2017 NECS Conference, and we really look forward to welcoming you all in Paris! Please read carefully the various points of this message, since it contains some important informations. — the updated version (date: 27/06/2017) of the conference program is available here. — the complete list of the panels that have been sponsored by the various NECS Workgroups is also available here. Thank you for taking note of all this. We look forward to seeing you next week! We are pleased to present the Preliminary Program of the 11th annual NECS Conference, which will take place from June 29th to July 1st 2017 in Paris. Download the preliminary program here. We hope that by now all of you have heard back from us (if not, please get in otuch with the conference manager : necs2017paris@gmail.com). We have updated the conference page regarding hotels (more informations here) and would strongly advise you to have your rooms booked as soon as possible. Looking forward seeing you in Paris ! This year we received an extraordinarily high number of paper, panel, and workshop proposals for the 2017 NECS Conference. Actually, the highest number of all NECS conferences so far! Thank you all for your contribution ! The reviewing process is now over. We hope that by now all of you have heard back from us. If not, please get in touch with us : necs2017paris@gmail.com (also consider checking your spam email). The preliminary programme is still in process and will soon be available. We have updated the conference page regarding flights and hotels, and would strongly advise you to have your rooms booked as soon as possible. To attend the conference, you need to be a member of NECS and should have paid the annual membership fee. Looking forward seeing you all in Paris ! You can find the Call for Papers as a downloadable PDF: here. The Call for Papers for the NECS Paris 2017 Graduate Workshop can be found: here. The question of the relationship between media, bodies, and the senses cuts across the entire history of media theories. Since their first appearance, technical media such as telegraphy, photography, gramophone, film, typewriter, the telephone, radio, and then television, computer, internet, as well as a wide variety of cultural techniques for the recording, processing, and transmitting of information have been analyzed taking into consideration their relationships with the human body and its sensory organs. Concepts such as “organ projection,” “prosthesis,” “innervation,” “extension,” and “interface” have been used to describe the contact and the interaction between human organisms and technical apparatuses with their various degrees of hybridization, which in turn have generated a whole series of utopian and dystopian visions of a future “post-human” condition. And while the very notion of medium is strictly related to the problem of sensory perception (since it finds one of its origins in the Latin translation of a Greek term, metaxy, which was used by Aristotle in order to indicate the material intermediary entities that make perception possible), the body itself (with its expressive face, its sensitive skin, and its meaningful gestures and movements) has often been considered a sort of primary medium, a crucial reference point in order to understand the very nature of mediation. There will be opportunity for the NECS workgroups to meet during the conference. Please notify the conference organizers if you wish to held a workgroup meeting in Paris: necs2017paris@gmail.com. 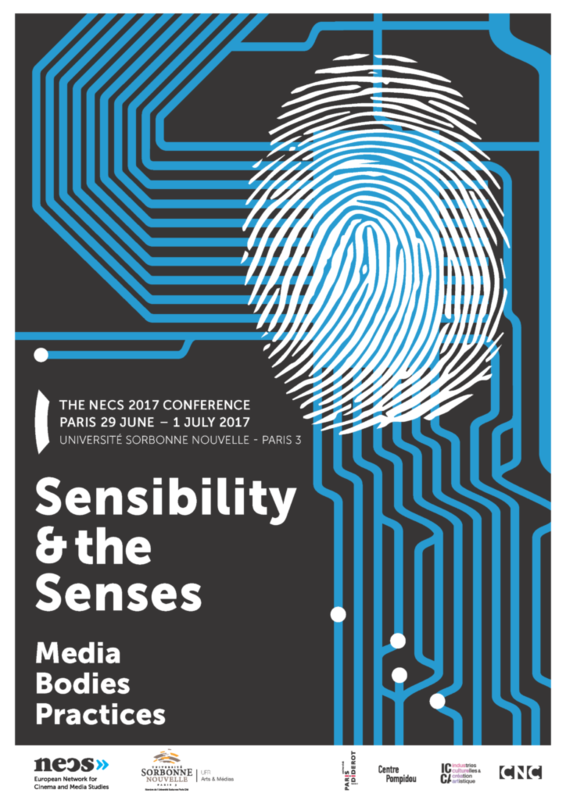 Welcome to the website for the NECS Paris 2017 Conference, which will be hosted by the Université Sorbonne Nouvelle – Paris 3 from 29 June to 01 July 2017 in Paris (France). More information coming soon.